Though investors shrugged off this initial round of trade war, the worst is yet to come. Tariffs on another $16 billion worth of Chinese goods is expected to go into effect in two weeks. And if Beijing retaliates, Trump has threatened additional tariffs on $500 billion in Chinese goods. These events could result in a global recession, hurting global supply chains, increasing costs for businesses and consumers, and slowing down investments. However, the markets emerged unscathed since the start of the trade war on Friday and showed its resiliency on strong economic fundamentals. A number of prominent Wall Street strategists remained bullish about the outlook for American equities given the expectations of double-digit earnings growth, accelerated buybacks, pro-business policies, historic tax cuts and a strong labor market. The confidence in economy has only increase, following a robust June jobs data on the day that Trump finally levied tariffs on Chinese goods. This is especially true as the United States added more-than-expected 213,000 jobs last month, representing the 93rd straight month of additions and the longest recorded streak. With this, America is being considered as being near full employment. Though the unemployment rate rose slightly to 4% from 3.8% as a higher number of workers are looking for work and not all of them have found one, wages grew at a relatively solid annual clip of 2.7%. With solid job gains, the nine-year old economic expansion, which is considered the second largest-ever, remains on solid ground. The momentum in the manufacturing sector continues to pick up with American factory activity acceleration for the second straight month in June. Several economists expect economic growth to accelerate to an annual pace of 4% during Q2, double the growth of 1Q. Additionally, the historic $1.5-trillion tax cut will create an economic surge, boosting job growth and reflation trade. It will further accelerate earnings, leading to record dividend and buyback activities. Additionally, the tax repatriation will allow companies to bring offshore cash back home, paving the way for increased mergers and acquisitions. A combination of all these factors bodes well for the stock market. 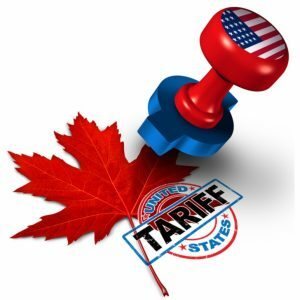 Further, the strategists believe that the tariff threats are just Trump’s policy to fetch a better trade deal for the United Stated with its major allies. Trade deficit narrowed 6.6% in May to a 19-month low amid uncertain trade policies, adding to the bullish view. It has now fallen for three consecutive months and is down year over year. Other than the United States, Europe and Japan are also showing signs of improvement thanks to government policies that are still supporting growth and investment. The improving sentiments across the globe are also boosting investors’ confidence despite the looming trade war. Given the bullish trends but political jitters, investors could be well served by focusing on the stocks having a top Zacks Rank #1 (Strong Buy), VGM Score of A and strong Industry Rank. Micron Technology (NASDAQ:MU): This is one of the leading worldwide providers of semiconductor memory solutions. It saw solid earnings estimate revision of 73 cents for this fiscal year (ending August 2018) in the past three months, with an expected growth rate of 136.29%. The stock belongs to a top-ranked industry (top 1%). ArcBest (NASDAQ:ARCB): This provides freight transportation services and solutions. It has seen solid earnings estimate revision of 54 cents for this year over the past 90 days, with an expected growth rate of 120.30%. The stock belongs to a top-ranked industry (top 5%). Marathon Oil (NYSE:MRO):This is a leading exploration and production company with extensive operations across four core regions — Africa, Middle East, Europe and North America. It has seen strong earnings estimate revision of 42 cents for this year over the past 90 days, with an expected growth rate of 339.47%. The stock hails from a top-ranked industry (top 7%). Azure Power Global (NYSE:AZRE):This is a producer and developer of solar energy. The stock has seen positive earnings estimate revision of a couple of cents for the fiscal year (ending March 2019) over the past 90 days and has an expected growth rate of 109.23%. The stock belongs to top-ranked industry (top 11%). Molina Healthcare (NYSE:MOH): This is a multi-state health care organization that arranges for the delivery of health care services and offers health information management solutions to individuals and families that receive their care through Medicaid, Medicare and other government-funded programs. The stock has seen whopping earnings estimate revision of 92 cents for this year over the past 90 days and has an expected growth rate of 725%. The stock falls under a top-ranked industry (top 15%). Article printed from InvestorPlace Media, https://investorplace.com/2018/07/5-stocks-buy-markets-shrugging-off-trade-war-fears-ggsyn/.